Awareness means living in the knowledge of the omnipresence of God at all times and under all circumstances. Failing to do so, people tend to conveniently forget the divine factor permeating through every aspect of creation and end up doing whatever they please. For example, a politician may come to Prasanthi Nilayam to visit Bhagavan Sri Sathya Sai Baba, fall repeatedly at His feet in the interview room, conduct himself in a respectful and reverential manner in Swami’s physical presence. But the moment he crosses the ashram gate in his luxury car, he switches to different style and mode; God is no longer on his radar screen. The divine omnipresence is forgotten and it no longer influences him as he goes about his routine work. God, work, the business of politics are set apart in different compartments in the person’s priorities. Swami never tires of reminding us of our place in the cosmic hierarchy. The four words are: Vyashti, meaning individual, Samashti, meaning society, Srishti, meaning nature of creation and finally Parameshti, meaning God. Swami says, God created nature; so nature is a part of God. Next, in this vast cosmic expanse called the universe, planet earth is a tiny spec, and living on planet earth is entire humanity; and humanity is made up of individuals. We are thus a part of a huge chain, coming right at the bottom. That does not mean we are not important. We are as crucial to God’s creation as is the cell to the human body. The individual is a part of society, which is a part of creation, which is a part of God – that is how Swami describes this divine chain. 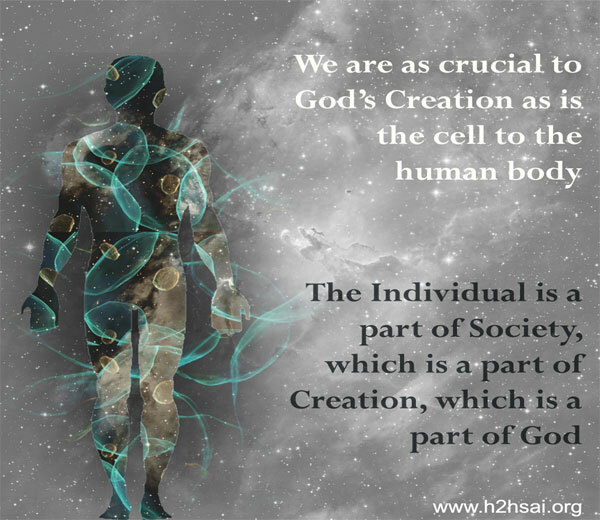 Sticking to the analogy of the human body, just as every cell has a specific function to perform to keep the body healthy, so also, every individual has the obligation to make sure that his or her action would not harm society, would respect nature and be in harmony with the individual’s intrinsic divinity. This is a close and intimate connection between the individual and society that needs to be properly understood, especially in the context of contrary ideas often being aired these days. For example, Mrs. Margaret Thatcher – the thrice Prime Minister of Britain and a very powerful lady – once famously said: “There is no society; only the individual.” Mrs. Thatcher was well known for many of her one-liners such as, “the business of Government is to get out of business,” and so on. 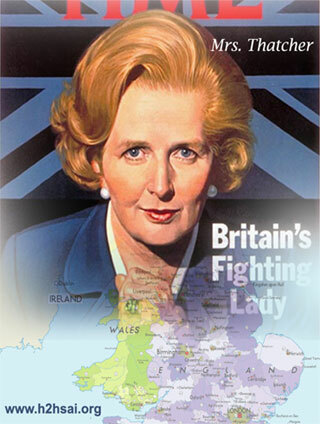 In effect, she was a great champion of the conservative point of view, and did a lot to steer Britain away from the Welfare State, created by Clement Atlee around 1946, when he defeated Churchill, the great wartime hero, in general elections. All fields of life, including politics bear a direct relationship to spirituality. Let’s go back to the days of the Ramayana, a spiritual text dear to millions. There is the instance when Bharatha goes to the forest searching for Rama, who has just gone on exile. Bharatha meets Rama at Chitrakoot and even before Bharatha could exchange pleasantries, Rama gives him a long lecture on governance. Good and dharmic governance was and continues to be very much in the province of spirituality. By the way, that is why Mahatma Gandhi never forgot spirituality while being fully immersed in politics. If one does that, one ends up with politics without principles, so very common today. All life experiences can be viewed through the prism of spirituality. Many years ago when I was serving as the Vice Chancellor of Swami’s University, Swami used to go the college every Sunday morning to address the MBA students. If Swami had a course on Business Management in His University, it means that Business is not out of the purview of spirituality. Once, during His discourse, Swami materialised a gold Schaeffer’s fountain pen. He then took the pen apart and explained how a product is priced! Later, He graciously gave me the pen, which naturally made me very happy. Swami looked hard at me and after a pause said, “Everything is Spiritual!” I hope with that digression I have convinced you that it is not exactly irrelevant to mention politics, economics, finance and business while discussing the individual and his/her relationship to society. After all, Swami Himself has said that politics without principles, business without scruples, etc., are harmful to humanity. To highlight how individuals do need to consider society and its problems, let me refer briefly to a study carried out a few years ago in Britain about juvenile offenders who were sent to prisons. Normally, such offenders are supposed to be detained in separate facilities meant for minors but more often than not, these kids were thrown in along with much older and hardened criminals. There, these juveniles were subjected to all sorts of indignities and brutalised so much that when they were released after the detention period, these young people, barely seventeen and eighteen, had themselves become pretty hardened. After they were released, they indulged in crime and soon were back in prison. Thereafter, their life was one of crime, prison sentence, release, more crime, detention again, and so on endlessly. The Commission was deeply disturbed that society was, through its indifference, simply breeding only more crime by not helping young people to be educated and trained while in prison, so that they could be rehabilitated and become law-abiding, productive citizens when they were released. In other words, not only was crime being bred but also, society was paying a hefty bill to promote more and more law and order problems. There are many such problems that link individuals and society in a tightly-coupled manner. Consider children. God has made children such that they like to play. This they do all over the world and have been doing this for thousands of years. Play is needed for a number of reasons. It brings children together; it makes them happy which is good for their physical and mental health. Of course, everything must be done in moderation. Now there if you look at cities like Bombay or Mumbai if you prefer, it has a population of 15 million and is horribly crowded. A good percentage of this 15 million is made up of children. Go around Mumbai and try to see if there are any open spaces where these kids can play. Urbanisation has stolen every bit of open space for shopping malls, apartments, restaurants, and what have you. The rest is used by slums. So you have these millions of kids with absolutely no place to play. What do they do for recreation? The kids of rich people stay at home and play expensive video games. The kids of middle class people spend hours watching TV, mostly programs unsuited for their age and mental, emotional and spiritual well-being. The children of lower middle class people are driven by their parents to spend time doing homework, and the slum children mill around and watch crime in action. In some sense or the other, this is happening not only in Mumbai but in Mexico City, and may be Chicago, Bangkok and elsewhere in many other medium size cities all over the world. Can you imagine what an impact all this can have on the future of mankind? Fortunately, in the Sai family, we have programs like the Sathya Sai Education or SSE and Bal Vikas but think of the rest of humanity; what a huge problem the world is going to face just because individuals are too preoccupied with themselves and hardly about society. During a Trayee session in Brindavan, Swami said, “Modern man refers to our ancients as superstitious and ignorant people. Swami continued, “But look at what modern man is doing. He is not just cutting trees but wiping out whole forests. "He is not just killing animals but wiping out whole species. God gave man pure air to breathe; but what is today’s man doing? Polluting it hugely. God gave man water to drink; but what is modern man doing? He is not only wasting water but also polluting it like crazy. Now who is better? Two thousand years ago, the population of the world was very small compared to what it is now. But today, the population has swelled to 6.2 billion and they say by 2050 it would be about ten billion! Imagine the implications of that! Here are some things we ought to be deeply concerned about. Food for instance does not drop like manna from heaven. Man has to work and slog to get food. Land and water are the prime basis for all the food people eat, both vegetarian and non-vegetarian. For a moment, consider meat, especially beef. Beef is very popular these days, not only in the West but in Japan and many other countries. All kinds of arguments are made about why beef is very good for the body, while Swami’s devotees would argue equally vehemently that meat is bad for one on the spiritual path, quoting Swami. Apart from the spiritual reasons, conservationists have done some practical calculations and have come up with a very compelling earthly reason why mankind simply cannot afford to eat meat. Believe it or not, it has all to do with land and water! 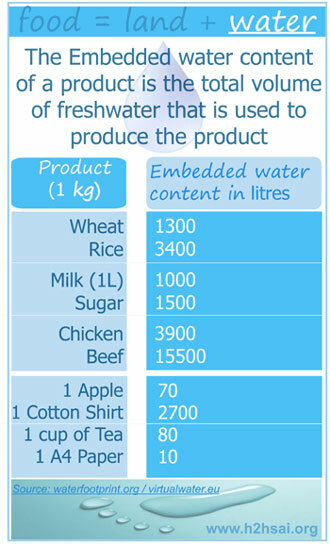 Have you ever wondered how much water is needed for growing say one kilo of rice, wheat and sugar? It has been calculated that if we go to a grocery store and buy one kilo of rice and one kilo of wheat, we are literally carrying about half a ton of water, for that is the amount of water needed to grow those two kilos of rice and wheat! Beef is eaten extensively in America and is produced by first growing corn, and feeding it to cattle. It turns out that at the end of it all, to get one kilo of beef, one has to use a hundred times more water than is required to produce one kilo of wheat. Not many would know that even amongst crops, some consume more water than others. In India, about fifty years ago, not much rice was eaten. Most of the people were poor and they usually ate cereals grown in arid land - cereals that did not require much water for cultivation. These cereals, like millet for example, were looked down upon but they were very nutritious. Subsequently, rice and wheat eating became popular among even the so-called poor people because a lot more of these cereals began to be produced. However, this has meant using much more water. But the time has come, especially with growing demands for water on the one hand and galloping population on the other, to wonder, whether India as a whole should reconsider its eating tastes, going back to less water-intensive crops. This is a good juncture to consider the relationship of this series of talks on Awareness with the Gita. The Gita begins with Krishna advising Arjuna not to quit, not to abandon his duties as a soldier, committed to fight for the protection of dharma. Now why did Arjuna want to drop out? According to Arjuna, it was because he thought war was not worth it, especially when it meant killing kith and kin, his near and dear. Krishna points out that Arjuna’s reasoning is all flawed. The Lord explains to Arjuna that actions must always be based on considerations of the permanent rather than the temporary. Arjuna’s hasty decision was based on considerations of the body; he was worried about his grandfather, gurus, cousins, and so on getting killed in the battle. But man is not just the body, which is a mere covering for something permanent namely the Atma or the immortal spirit within. Bodies may die but the Atma never dies, being eternal. 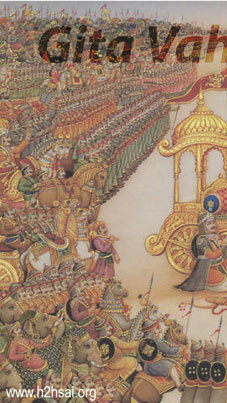 Arjuna must decide giving priority to the Atma rather than the body; moreover, dharma was at stake. If awareness means total understanding that God is in everything, everywhere, all the time, then for us the devotees of Swami, it means that we must see Swami in everything, everywhere, all the time. Rule One: Act in the transient world, but according to eternal guidelines and the permanent basis of creation. 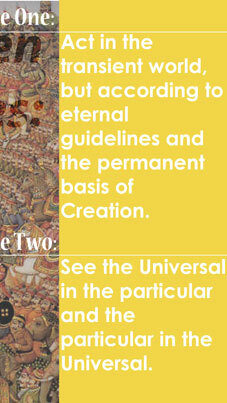 Rule Two: See the universal in the particular and the particular in the universal. That is Krishna’s teaching distilled down to two simple golden rules. How do these relate to the Awareness series discussion? If awareness means total understanding that God is in everything, everywhere, all the time, then for us the devotees of Swami, it means that we must see Swami in everything, everywhere, all the time. 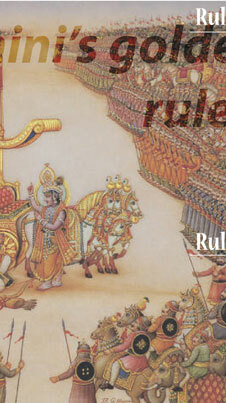 Let us try to relate this to the two golden rules just enunciated, with particular reference to Arjuna and his dilemma. See God even in the smallest insect and the atom, and at the same time, realise that all these form a part of the cosmic nature of God. What about Rule Two, which says, see the universal in the particular and the particular in the Universal? This is a beautiful teaching of Swami and in effect it means: See God even in the smallest insect and the atom, and at the same time, realise that all these form a part of the cosmic nature of God. There is an intimate connection between the micro and the macrocosms, and this interconnection should never be forgotten in anything that we do. When man kills tiger for sport and its body parts, he fails to see God in the tiger; equally, he fails to see that the tiger plays a delicate role of its own in maintaining the eco-balance. Thus, the unwanted slaughter of the tiger must be avoided for both micro and macro reasons – that is what total understanding is all about and that also is the lesson that Krishna taught Arjuna. Anyone can parrot the Gita but when it comes down to practical life, few implement its teachings; that is because few understand what the teachings really mean. Swami has explained the teachings in pitiless detail but then who has the time these days to read all that? That is the single great tragedy of modern times. We have God walking in our midst who is telling us so many things several times, over and over again. Do we care to pay attention? Besides who has the time between the cell phones, the television and the internet! Swami has told us many times, each human being is really a composite of three distinct entities, the gross body, the subtle mind, and the causal Atma. Interestingly, from each source, we get a special gene. The gene for the gross body comes from the biological parents and this gene includes traits of our ancestors too. Thus it is that there are many similarities between the genes of humans and monkeys. What about the mind? Does it have any genes associated with it? The subtle genes that shape our mind is a subtle entity called vasanas or inherent tendencies. These vasanas are nothing but the traits of the person acquired in earlier births. Hence each of us has mental genes that determine our predisposition since the time of our birth; these come from our own previous births and they thus are determined by us and not our biological parents or their ancestors. Having established that the body has its genes and so apparently does the mind in the form of the vasanas, what about the heart? It has genes too - divine genes! We have three distinct sets of genes and our personality is determined by a complex inter-mix of all these three. We come into this wide world with these three genes, and thereafter our environment starts impacting us making its own impression. Our nature may be what we came with but our nurturing will impact what it blossoms into. For example, a person might have been very greedy when young, a trait inherited from earlier births. This might have been the inherited vasana. However, in this birth this person might have come into contact with a good person, and the latent goodness might have got tickled, making the person less selfish. So there could be an improvement; equally, there could be deterioration. We have an opportunity to improve spiritually or become worse. 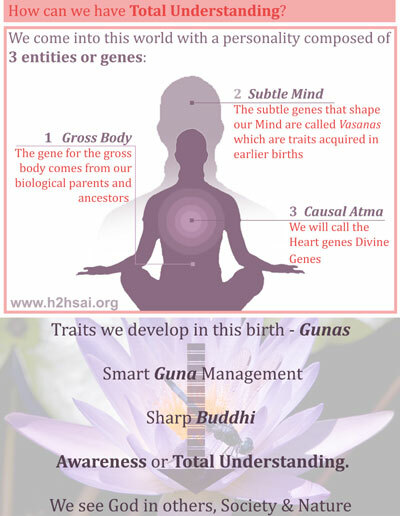 The traits we develop in this birth are called gunas. Krishna has told many things about gunas and guna management to Arjuna. As part of our Awareness development, we had better do some smart guna management by reducing desires and enhancing purity so that buddhi or intelligence is sharp and helps us to stay connected with our conscience. In short, our gunas or traits could play a big role in buddhi or our intellect staying sharp or becoming blunted. In case of the latter scenario we fail to develop proper awareness. Net result of being in a state of such ignorance is that we often fail to see God in other people, in society, in nature and conduct ourselves in the state of delusion, fracturing the golden triangle of life. Our undisciplined gunas can make us pretty dull spiritually. For example, many people claim that they have no time for reading spiritual literature but somehow find enough time to read market news in great detail, every single day. They might argue this is vital for their profession but as devotees of Swami, they must have sat through many of His discourses wherein He has made extensive reference to the first hymn of Bhaja Govindam, in which Shankara chides man for spending too much time on worldly learning, when it will not come to his rescue in the last moment. If God is a causal affair, His Grace will also come to us only rarely. There is such a thing as eligibility, and unless we become eligible, how can God help us? Sorry but even in the spiritual world there is no free lunch! It is sheer ignorance to think that one can write cheques and win God’s grace. This is an unfortunate and mistaken impression. God wants our love and not our money; why would He want our money when He is the source of all wealth? This is not to say He would disapprove of our voluntarily giving money for social uplift with a genuine passion to help those less fortunate. That is different. However, any deal making with God … we had better think twice about that. Out of compassion God might help but let us not be under the impression that God is desperate for our money. To recapitulate, the purpose of the Awareness Course that is given to the students of the Sri Sathya Sai University is to make them realise that unless we take Swami’s teachings very seriously and do something by way of following them, humanity would be in deep trouble; and remember, when the ship of humanity sinks, all of us are likely to go down together. On the other hand, by thinking of the Lord, we would be saved, and by doing the Lord’s work, we would help to save others also. Just look at the amount of violence around. Take a minute off to enquire why it is there? Mostly, it is due to anger, misunderstanding, greed, injustice and hate. To sustain violence, a lot of money is spent; and to protect themselves from violence, people spend a lot of money. Few appreciate how much money is involved in all this. All of us are a part of creation and to that extent each of us has a cosmic connection with the Cosmos and the Creator of the Cosmos, as indeed does everything from the tiny atom and insect to the galaxy. 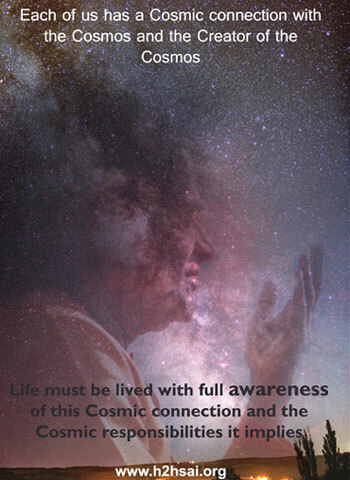 Life must be lived with full awareness of this cosmic connection and the cosmic responsibilities it implies. That is really what awareness means. It is this awareness of the interconnectedness that Krishna communicated to Arjuna five thousand years ago and the same awareness that Swami is trying to create within us through His tireless actions and discourses. Recently, a TV channel from America came to Bangalore and interviewed Dr. Safaya about Swami’s Super Speciality Hospitals that offer tertiary medical care absolutely free of cost. The interviewer said, “This hospital is very nice of course, but it is too difficult to replicate it elsewhere as the project is too expensive.” Dr. Safaya replied, “Do you know how much a sophisticated fighter plane like the F-16 costs, complete with all the armaments and the training expenses? Let us take a minute off and think about what Swami is doing, and the lessons that His life teaches us. He reminds us about the duty we as individuals owe to society and the responsibility that society has towards individuals. We may be individuals who are doctors, or pilots or businessmen or executives, or whoever. All of us are a part of creation and to that extent each of us has a cosmic connection with the Cosmos and the Creator of the Cosmos, as indeed does everything from the tiny atom and insect to the galaxy. Let us pay heed, do as He says, uplift ourselves, and in the process help humanity too. Think about it, please. Jai Sai Ram. Dear Reader, did this article help you in any way? Please share your feelings with us by writing to [email protected] mentioning your name and country. Thank you for your time.